Creation of segregated portfolios is a mechanism to separate illiquid and hard-to-value assets from other more liquid assets in a portfolio. The decision comes in the wake of the liquidity squeeze triggered by the Infrastructure Leasing & Financial Services (IL&FS) default. 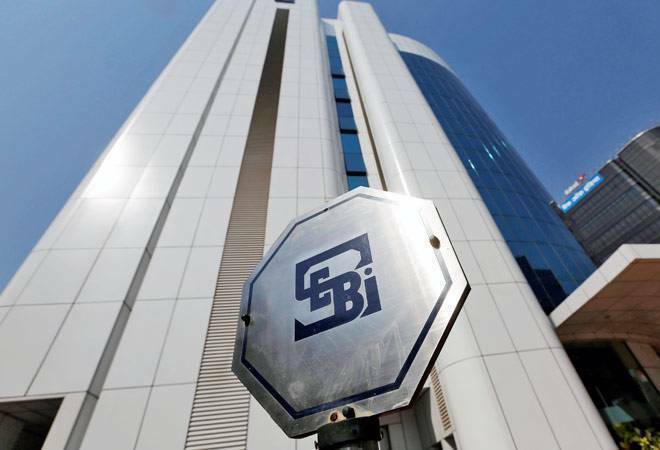 “In order to ensure fair treatment to all investors in case of a credit event and to deal with liquidity risk, it has been decided to permit creation of segregated portfolio of debt and money market instruments by mutual funds schemes,” Sebi said in a circular. The regulator said that segregated portfolio may be created, in case of a credit event at issuer level — downgrade of a debt or money market instrument to ‘below investment grade’ or subsequent downgrades of the instruments from ‘below investment grade’ or similar such downgrades of a loan rating — by a registered credit rating agency. In case of difference in rating by multiple credit rating agencies, the most conservative rating will be considered. The Sebi said that creation of segregated portfolio will be optional and at the discretion of the Asset Management Company (AMC). It should be created only if the scheme information document has provisions for such portfolio with adequate disclosures. AMCs need to have a detailed written down policy on creation of segregated portfolio and the same need to be approved by the trustees. In order to avoid misuse of segregated portfolio, the Sebi said trustees will ensure to have a mechanism in place to negatively impact the performance incentives of fund managers, chief investment officers among others in the investment process of securities under the segregated portfolio, “mirroring the existing mechanism for performance incentives of the AMC, including claw back of such amount to the segregated portfolio of the scheme”. The new mechanism should not encourage the AMCs to take undue credit risk in the scheme portfolio and any misuse of the provisions of segregated portfolio, would be considered serious and stringent action may be taken, the Sebi noted. Segregated portfolio mean a portfolio, comprising of debt or money market instrument affected by a credit event, that has been segregated in a mutual fund scheme. Explaining the process for creation of segregated portfolio, the markets regulator said AMC will have to decide on creation of such portfolio on the day of credit event. Besides, the fund house need to seek approval of trustees prior to creation of the portfolio. They need to immediately issue a press release disclosing its intention to segregate such debt and money market instrument and its impact on the investors. AMCs also need to “ensure that till the time the trustee approval is received, which in no case shall exceed one business day from the day of credit event, the subscription and redemption in the scheme shall be suspended for processing with respect to creation of units and payment on redemptions”. Following the trustees’ approval to create a segregated portfolio, the Sebi said, “investors redeeming their units will get redemption proceeds based on the NAV (net asset value) of main portfolio and will continue to hold the units of segregated portfolio. Investors subscribing to the scheme will be allotted units only in the main portfolio based on its NAV”. In case the trustees do not approve the proposal to segregate portfolio, AMC will have to issue a press release immediately informing investors of the same and subscription and redemption applications will be processed based on the NAV of total portfolio. A credit event in even one issuer or group could lead to significant liquidity risk in the entire country, which in turn can lead to further volatility in the market. In order to enable the existing as well as the prospective investors to take informed decision, the Sebi said a statement of holding, indicating the units held by the investors in the segregated portfolio along with the NAV of both segregated portfolio and main portfolio, as on the day of the credit event will have to be communicated to the investors within 5 working days of creation of the portfolio. The regulator said adequate disclosure of the segregated portfolio should appear in all scheme related documents, in monthly and half-yearly portfolio disclosures and in the annual report of the mutual fund and the scheme. Besides, the net asset value of the segregated portfolio need to be declared on daily basis. Under the new framework, AMC will not charge investment and advisory fees on the segregated portfolio. However, TER (excluding the investment and advisory fees) can be charged, on a pro-rata basis only upon recovery of the investments in segregated portfolio. With an aim to ensure timely recovery of investments of the segregated portfolio, trustees will have to ensure that AMC puts in sincere efforts to recover the investments of such portfolio. Upon recovery of money, whether partial or full, it will be immediately distributed to the investors in proportion to their holding in the segregated portfolio. Currently, in the absence of segregation of portfolios from other more liquid assets in a portfolio, in case of credit events, the existing investors potentially lose all the value. Any further recovery accrues to the investors in the scheme at the time of recovery. IL&FS and its subsidiaries have defaulted on several debt repayments recently due to liquidity crisis. The company as of March 2018 owed over Rs 91,000 crore to banks and other creditors.